RTÉ lyric fm marks its 20th birthday in style with a powerhouse array of Irish talent in a glittering gala concert celebrating what could well be our motto: the joy of music. The brilliance, drama and poetry, too, with works by titans Mozart, Verdi, Tchaikovsky and Johan Strauss II alongside contemporary giant John Williams and no less than three world premieres by exciting young Irish composers, winners of a nationwide competition. 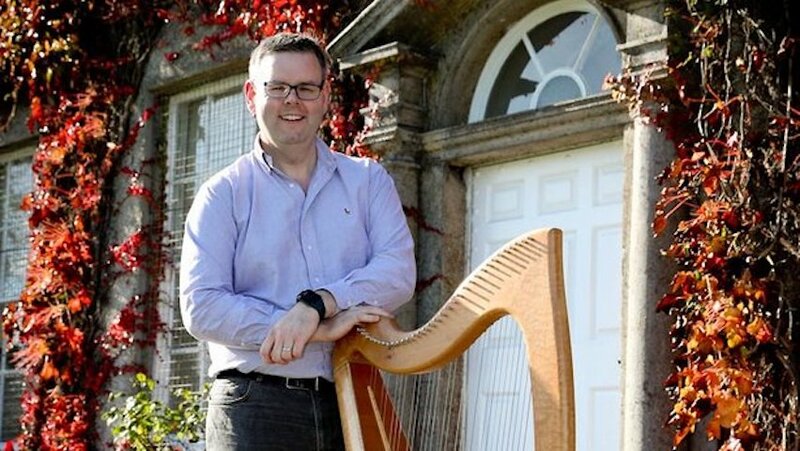 Tyrone-born Ryan Molloy’s Gealán is a concerto for Irish harp boasting a radiant, rich soundworld exploring the harp’s distinctive lyricism and exploiting its nimble energy in a virtuosic borrowing of syncopated reel rhythms. Anne-Marie O'Farrell's "transformation of the harp from an instrument of gentility to one steeped in an earthy sensuality is remarkable. "Siobhán Long, The Irish Times. She joins the RTÉ National Symphony Orchestra to continue Ireland’s oldest musical tradition. Kate Neville’s setting of Carrick-on-Suir poet Michael Coady’s Though there are torturers (…there is music) will be performed by the RTÉ Philharmonic Choir while Elliot Murphy borrows from Ireland’s slow-air tradition to create a captivating new work for eight cellos. Acclaimed for his ‘lavish talents’ (Opera), tenor Gavin Ring sings the achingly beautiful Lenksy’s Aria from Tchaikovsky’s Eugene Onegin, the ‘captivating’ (Irish Times) soprano Emma Nash takes centre stage for Mozart’s delicately pretty ‘Voi Che Sapete’ (Marriage of Figaro), the two coming together for Verdi’s heartrending ‘Parigi O Cara’ (La traviata). Belfast man AJ Potter’s exquisite Fantasy for Clarinet and Orchestra features RTÉ NSO Clarinet Section Leader John Finucane in music of evocative charm and ravishing, lightly-worn lyricism. A trip to the cinema gives us John Williams’ Fiddler on the Roof Suite – an Oscar-winning re-working of Jerry Bock’s original theatre score – brimming with colour, vitality and life-affirming vivacity. Rossini’s ebullient William Tell Overture, Johann Strauss II’s dreamily intoxicating By the Beautiful Blue Danube and Saint-Saëns’ colourful ‘Danse Bacchanale’ (Samson et Dalila) will showcase the RTÉ National Symphony Orchestra at its most expressive!